-1 RACE JERSEY + 1 HAT AND 1 SECURITY FLARE. 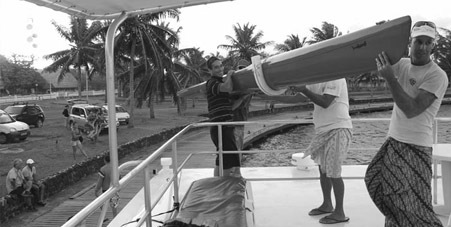 -1 DINNER AT TAHAA + ACCOMODATION. 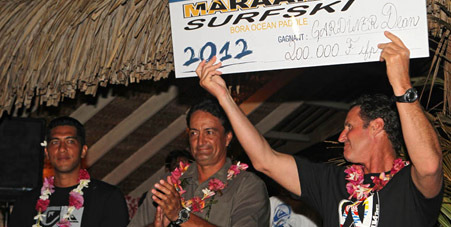 -1 DINNER + AWARDS CEREMONY AT HOTEL SOFITEL MARARA + ACCOMODATION AT HOTEL MAITAI POLYNESIA AND BREAKFAST. 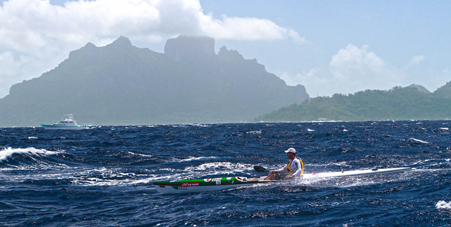 -ARRIVAL OF THE FOREIGN KAYAKERS AT RAIATEA AROUND 5:15pm, WELCOMING BY "TE AVA PITI SURF SKI" CLUB. -5:30pm WELCOMING BY THE ORGANIZING COMMITTEE AND THE CITY HALL COUNCIL MEMBERS. SETTING IN ACCOMODATIONS. -7:30pm DINNER OFFER TO THE WHOLE DELEGATION. 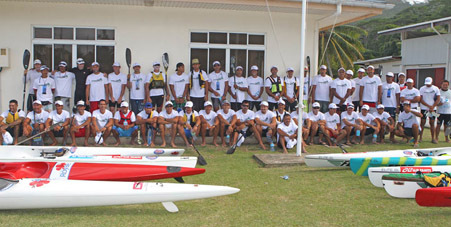 -9:00am: START OF THE RACE TAHAA/BORA 25 MILES. -11:30am: 1st FINISHERS AT VAITAPE. -2:30pm: GO TO MAITAI POLYNESIA HOTEL. -00:00pm: FREE ACCOMODATION AT THE MAITAI POLYNESIA HOTEL. -7:30am: BREAKFAST AT THE MAITAI POLYNESIA HOTEL.